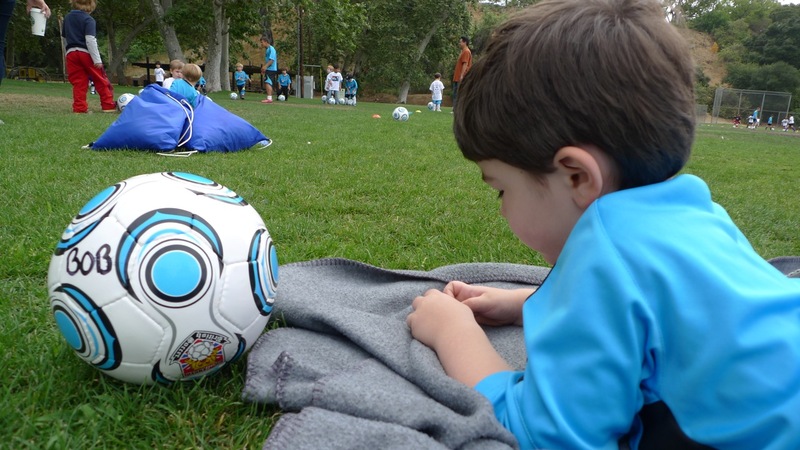 Soccer Camp: Day 1 - . Cafes are, like, the most important part of summer. And camp. Be thankful they didn't hand out vuvuzellas. Bob is so totally my homie. I don't think I've ever exercised more than 8 minutes in my life and I love a good cappucino. Hmm, is there a Cafe camp nearby? Aw, Jeez. I love that boy. Oh, I want to go to a cafe. With Bob! Never go off the caffeine, Bob. It's not worth it. Oh, and the chocolate croissant is on me. I was a tiny bit afraid this was going to be some sort of Castaway thing when I saw the picture, but Bob wouldn't talk to a soccer ball named Bob, and if he did, it'd certainly be worth listening to. Tomorrow, bring a cup with a sip-lid, Bob. I like a nice iced vente americano, but 'bucks has a lovely vanilla milk according to Moochie. i can only imagine how expensive camp of any kind is when they're led by people with british accents. this would be thought as my children (who i'm sure would be doing the same thing) laid on blankets asking for lattes. however, there's just something so forgivably and squeezably adorable when coming from the mouth of bob.